When people think about SEO, they often picture it to be a bit of a momentous task. Setting up a whole system of content creation and optimization can be exhausting, and requires the manpower of an entire department. 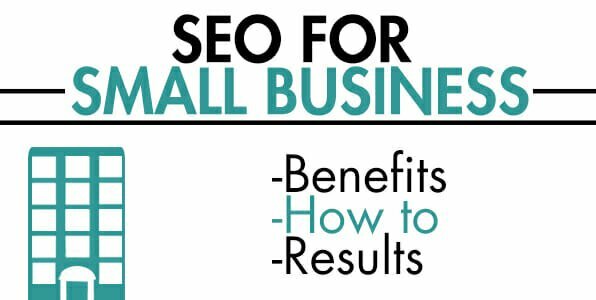 However, what some small business owners fail to realize is that SEO for small businesses is far from the rocket science it has to be for large businesses. In a competitive Fortune 500 corporation in the financial or real estate sector, SEO and PR are fields that require the expertise and hard work of several talented experts to do right. When you’re that big, keeping a good name online and making sure you come out on top in search results is a tough thing to do, especially with a customer demographic that spans several continents. It’s different when you’re an openly local business. Small businesses are meant to target their local demographic, all while having a much smaller competition to deal with. That means that ultimately, your SEO tactics don’t have to span across huge multinational campaigns. Instead, a simple, straightforward, and targeted campaign can be enough to rocket you to first place among all relevant search results in your niche and area. You don’t need a huge firm to help you. Getting quality SEO services in Los Angeles and Ventura through a company like SeoTuners is more ideal, as you’ll get to cut costs and still benefit from a lean operation. Let’s tackle some of these tips and tricks, and help you figure out exactly what you need to do to help your business out in the field of search engine optimization. Minimalist designs both help decrease your website’s load times and makes your website easier to navigate. You don’t want a cluttered design. As per Kissmetrics, load times matter for sales just as much as SEO does. Optimizing your website’s on-site SEO is also a task. If you have an on-page blog, make sure every blog entry is tagged and categorized with business-relevant categories. Utilizing Google Trends, you can also find out what keywords are most regularly used in your given niche, and you can specifically target them by including them in your content. When it comes to local SEO, the most influential component of Google’s Hummingbird algorithm is Pigeon. Launched in 2014 according to Search Engine Land, Pigeon is Google’s component dedicated to making local SEO a bigger factor in search results, so even if you don’t look up a business specifically in your area, Google will use location technology to refer you to relevant and quality businesses close to you. However, Pigeon isn’t about city-wide local searches. Cities are huge, after all, with some nearly 10 million residents. Instead, it allows you to target customers specifically in your neighborhood. If you want your business to show up in people’s neighborhood searches, you’ll want to make sure that your company’s name, address, and phone number remains consistent every time it’s mentioned. The final consideration to make in local SEO is to make sure your customers leave reviews if they loved your service. You could offer incentives, or help refer customers to review websites through your own site. As per Shopify, reviews help you rank better in searches, they’re integral to your SEO, and they help customers decide whether or not to buy your product.